Optimal working dilutions should be determined experimentally by the investigator. Suggested starting dilutions are as follows: WB (1:500-1:2000), ELISA (1:20000). Not yet tested in other applications. Fig. 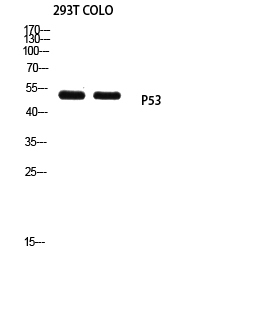 Western Blot analysis of Jurkat cells using p53 Polyclonal Antibody. 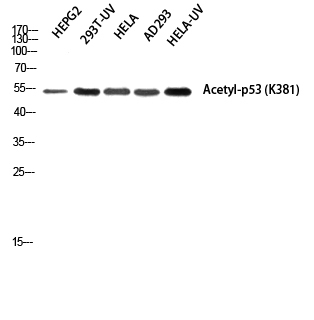 Secondary antibody (catalog#: A21020) was diluted at 1:20000. 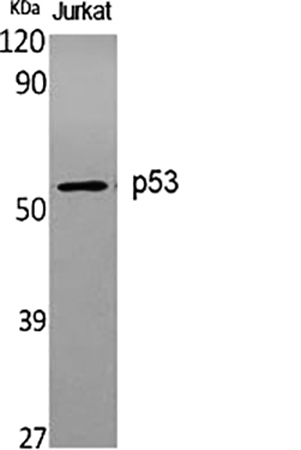 TP53 encodes a tumor suppressor protein containing transcriptional activation, DNA binding, and oligomerization domains. 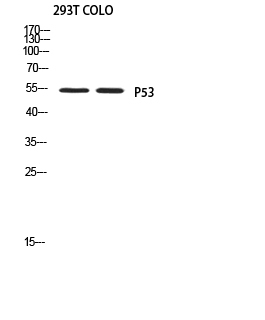 The tumor protein p53 responds to diverse cellular stresses to regulate expression of target genes, thereby inducing cell cycle arrest, apoptosis, senescence, DNA repair, or changes in metabolism. 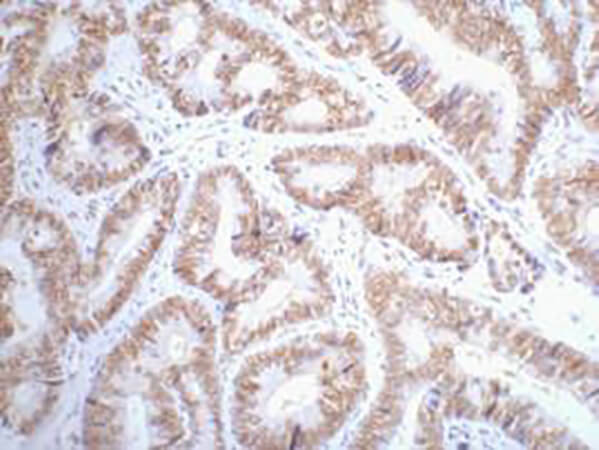 Mutations in this gene are associated with a variety of human cancers, including hereditary cancers such as Li-Fraumeni syndrome. Alternative splicing of this gene and the use of alternate promoters result in multiple transcript variants and isoforms. 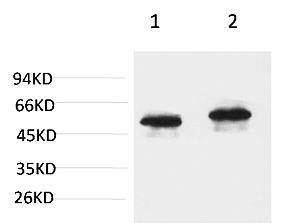 Additional isoforms have also been shown to result from the use of alternate translation initiation codons (PMIDs: 12032546, 20937277).